"If you want to know what's going on in immigration policy, you read Russell Hargrave" -- Ian Dunt, author of Brexit: What the hell happens now? 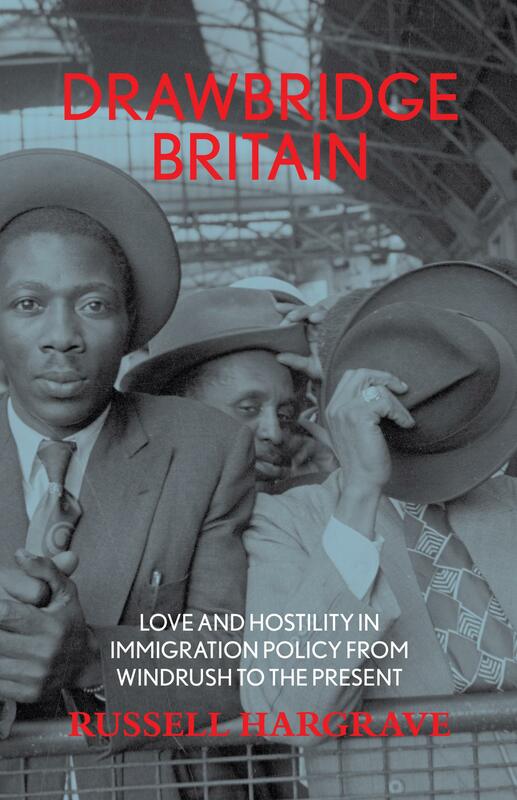 DRAWBRIDGE BRITAIN, a history of immigration from the Windrush to Brexit, was published by Eyewear Publishing in October 2018. It is a book about a modern British immigration. Politicians make promises about immigration. Journalists write countless stories about it. We gossip about it on the bus and in the pub. Everyone has an opinion. Drawbridge Britain tells the story of that obsession, from panic in Whitehall to Thatcher's promises to a Brexit vote driven by fear and mistrust of newcomers. And it looks ahead: how can we secure a more honest and liberal approach to immigration for the future? Drawbridge Britain is available to buy in many good bookshops, from Amazon, and directly from Eyewear Publishing.